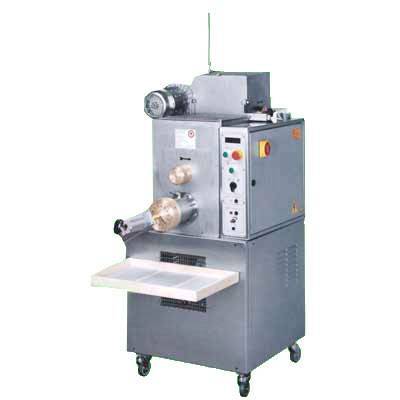 Pasta extruder, with two vats, to produce long or short pasta continuously. The TECH-50 pasta extruder is fully stainless steel built, and all its accessories are easily removable for cleaning, it is equipped with two vats to produce pasta continuously: a bowl for kneading semolina, water and eggs and another one to extrude pasta. It suits particularly to small and medium-sized laboratories of fresh pasta and it can also fill static dryers of 200 kg, to produce dry pasta.